Normally not serious and caused by a new building settling within the first two years. Hairline cracks can also form at the exposed top end of flat walls and parapets, if they are not sealed with a good waterproof paint. These cracks are caused by dew and rain water lying on top of the wall and penetrating the wall through the paint. Some cracks are easier to repair than others, but bigger structural cracks are the most challenging as they are often right through the wall and thus a permanent weak point. 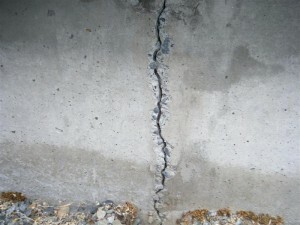 When this kind of crack is not properly repaired, seasonal temperature fluctuations cause expansion and contractions and as a structural crack is the weakest point, they often reopen. Over the years we have developed several remedies for problematic cracks, however as it is one of our trade secrets, I would not like to advertise it on our website for the competition to copy. Some very basic hairline cracks (or settling cracks) will appear in most new houses after the first two years. This is fairly natural if there is not excessive cracking. Hairline cracks are not really a problem and can be over-coated with a GOOD QUALITY texture paint like WeatherGuard or Micatex. Texture paints are excellent for bridging and covering hairline cracks as they are applied much thicker (5m² / l) than standard acrylics (7-9m²/l). Good quality texture paints like Weatherguard with MaxiFlex will not only bridge and cover hairline cracks, but as they are applied thickly and are flexible, it will also help to prevent them from showing again in the future. Large areas showing many larger hairline cracks can be covered with a fibre tissue which will cause the paint be even thicker and thus help with the prevention of cracks reappearing. PLEASE NOTE: There are many texture coats on the market and some are very competitively priced and thus it is a tempting to make use of it. They might cover the cracks, but as they have little or poor binders in them, their elasticity is minimal, causing hairline cracks to reappear within a year. Cracks need to be raked open in a V-shape and cleaned thoroughly. Then the area must be primed with a masonry primer. A good quality exterior crack filler like PROFILL should be used. PROFILL fried to quite hard and should the wall have a natural texture, the PROFILL should be shaped while wet to appear as close as possible to the natural texture of the wall. This will prevent smooth lines standing out like a sore thumb where cracks were filled. Once the crack filler has set and hardened, it should be primed again with a coat of masonry primer. 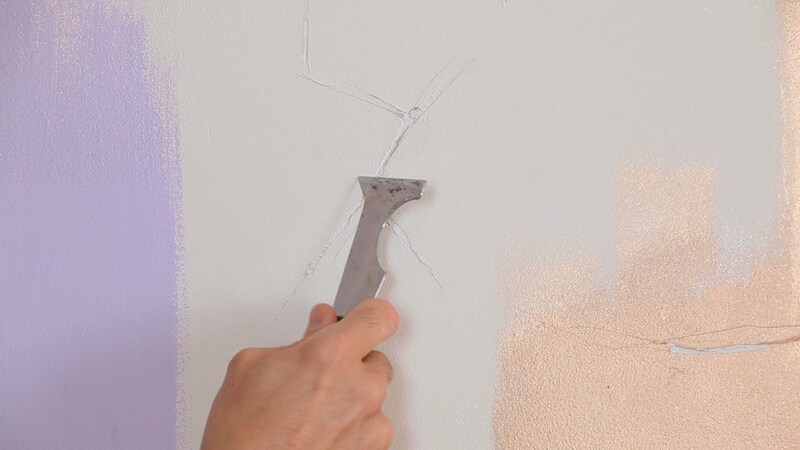 The area might need further treatment to hide the fact that the crack was repaired as the art of repairing cracks is that not only must cracks not reappear but, the repaired area should blend in with the existing wall as much as possible in order not to stand out. Structural cracks are very well described by their name. As they are structured it is extremely difficult to repair them without a considerable bit of work. 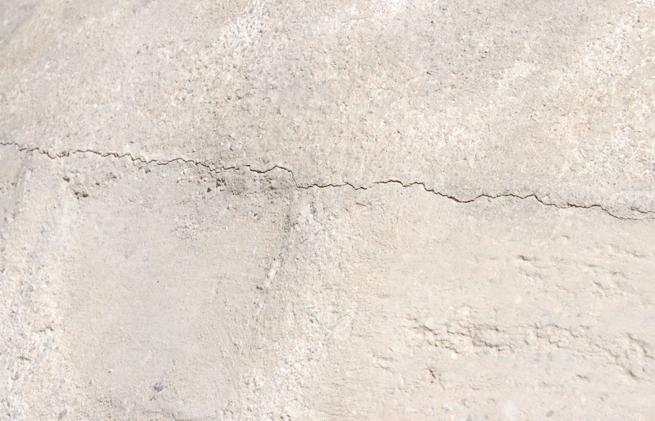 The smaller structural cracks can be treated very much the same as small cracks; however, there are a few secrets to help prevent them from reappearing. As these are trade secrets built up over many years in the industry I am not prepared to put it on my website where my competition can pick up tips. However, it is important that you as client understand that there are limitations as to the LONG TERM economical repair of structural cracks. As the whole building contract and expand with seasonal fluctuations, the cracks which are natural weak areas in the wall can sometimes reopen. There are all kinds of remedies like cutting specific expansion joints and filling it with a good quality sealant from the Den Braven range. This expansion joint will then appear as a straight line in the wall and not an ugly crack. There are other ‘secrets’ to repairing cracks but repairing a crack is mostly treating the symptom and not the cause, and thus normally not the solution. Quite often structural cracks appear because of poor foundation or simply bad building. To remedy the cause in such a case, can be very costly and ideally the most practical cost effective solution should be applied after a thorough inspection and discussing the options. There are no hard and fast rules but there are different options available and in certain worst case scenarios cracks can be hidden by a cupboard, bookshelf or some other feature. Over the years we have through trial and error developed several ways to repair cracks and although smaller cracks are fairly easy to repair, larger cracks need proper assessment to find the most cost effective long term solution.